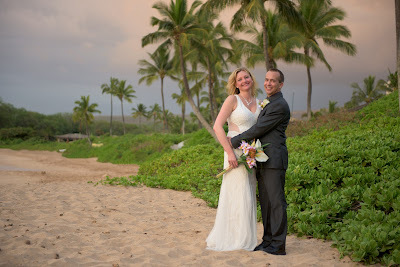 Actually, there' plenty more than 5 reasons but for the sake of brevity I thought I'd distill this article down to the 5 Main reasons you should plan a Maui Beach Wedding instead of doing the old style church wedding and reception for a couple of hundred people back home. Don't forget, you can always throw a party later! 1) Maui is a world class destination. Named #1 island in the world by Conde Naste travelers over the last 30 or so years, Maui provides some of the most spectacular scenery, beaches hotels and activities of any island in Hawaii. Our rural nature leaves plenty of open space and stunning vistas to enjoy as you travel the island experiencing all the adventures Maui has to offer. From farm to table tours upcountry to Powered Hangliding in Hana, Maui offers something for everyone at a relaxed slowed down pace. 2) Maui beaches are no ka o'i (the best). From dark sand to white sand and everything in between, Maui offers some of the most spectacular and pristine beaches in Hawaii. While parking is always an issue and carpooling is recommended, these beaches are long and wide enough to accommodate a good sized party and we can always find a spot where there are few beach goers. We always suggest the optimal time for your ceremony which ranges from an 8am ceremony for your early risers to one hour before sunset for those of you who want those sunset images. These are the times when the beaches are more open since folks haven't arrived yet in the morning or are packing up for dinner around sunset. 3) Maui's selection of accommodations runs the gamut from $50.00/night studio apartments to $3000.00/night 5 star resort suites. Many rooms front the ocean so you can leave the slider open at night and listen to the waves and feel the cool trade winds, jumping out of bed in the morning for a nice cool run down the beach. For breakfast some fresh papaya or 2 scoop rice and some portugese sausage. Maui is also a magnet for celebrity chefs and world renown restaurants. Of course you can always order up a bowl of saimin or a chicken katsu plate lunch at Sam Sato's or some authentic German grindz at Brigit and Bernards Garden Cafe in Kahului. 4) Your Honeymoon. Weddings, rings, dresses, etc are expensive and often mean that you have to skimp on the honeymoon or out it off for another year, but you know how that goes, things happen like babies and job changes and you just never get around to it. Why not just plan your maui beach wedding and your honeymoon at the same time? Like killing two birds with one stone and your friends will finally realize how smart you really are. 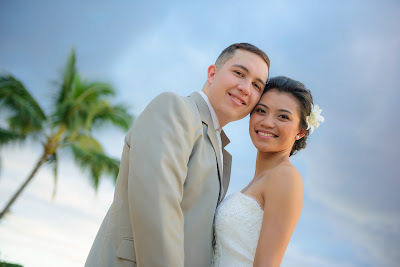 5) Maui's professional wedding vendors. Many of us have been working in the wedding industry on Maui for decades. 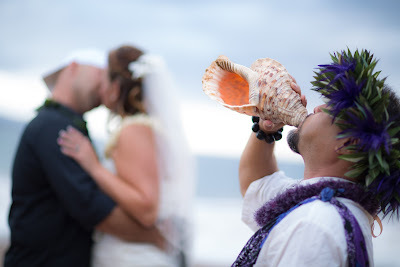 Maui wedding planners like Marry Me Maui not only do a professional job putting your beach wedding together, they also know the vendors who have been on the island with great reputations who do excellent professional work. They know the island, the beaches and the ins and outs of everything you need to know to have a great time and make kifetime memories on the most popular island in the world. Maui.